Training Load Monitoring- are you doing it? In recent years the Full time Academy programme at Gosling Tennis Academy has grown significantly. APA now write the training programmes for up to 13 full-time junior Tennis players, who are all committed to being the best Tennis player they can be. In today’s blog I would like to give an example of a Training programme that would be appropriate for this age group. Then I am going to talk about how we are using the Rating of Perceived Exertion (RPE) scale to monitor individual responses to the training programme. Credit where credit is due, I like to acknowledge the work of other practitioners within my field and it looks like there is some quality programming being done at Proformance Strength & Conditioning in Gloucestershire. I have included an example of his Key Stage 4 Programme which is an excellent example of a multi-lateral strength & conditioning training programme. Vern Gambetta would call it a ‘complex‘ programme because it is targeting several biomotor abilities in the same session. This is a sound approach with developmental level athletes. Now Properformance have included this as an example for a fairly homogenous group of Year 10 and Year 11 students. So what kind of things can we change to regress and progress the athletes in a mixed group? There is a pretty large age range (between 11 and 16 years) in the full-time junior Academy group. So we need to individualise by adjusting the parameters such as distance/height jumped in the jumping section, we could add challenge to the speed and agility by giving the older players bungees to work against, and in the strength section we can give the players more weight to work against. But what about managing tiredness levels within the group? It’s too easy just to say to everyone, ‘this is the session so just get on with it and do the best you can with the energy you have.’ Often you’ll get at least a few athletes who will come up to you and say, ‘I’m too tired today, can I just foam roll?’ But, if you say yes to one and no to another the players might think you’re being unfair. So how do you manage this? The first thing is EDUCATION EDUCATION EDUCATION. So with our work with Gosling Tennis Academy we have started to get the player’s to monitor more closely their perception of exertion while following a similar programme. Using the RPE scale we have found it to be a good way of ensuring that we can modify the sessions of players who are perhaps more or less tired than we expected. You’re not as tired as you think you are- get on with it! You’re very tired- do a recovery session and take the next Tennis session off too! Check out the video below which goes into detail about how we are using RPE, but it also covers a lot of insider information on the kind of Volume of Training players should be doing right from 5 years old all the way up to the professional level. http://athleticperformanceacademy.co.uk/wp-content/uploads/2015/05/APA-Logo1-300x156.jpg 0 0 darren.drake http://athleticperformanceacademy.co.uk/wp-content/uploads/2015/05/APA-Logo1-300x156.jpg darren.drake2015-01-31 11:22:422018-05-27 20:12:56Training Load Monitoring- are you doing it? As you may have read in previous posts I am really interested in how I can make my coaching as effective as possible so that I can help my athletes improve as fast as possible. I recently had the privilege to sit on an advisory panel at a University that was considering the addition of a new Strength & Conditioning (S&C) undergraduate degree to their programme. It was a rare opportunity to give feedback on the content of a degree programme before the modules had been finalised. Today I would like to finish my series of Blogs on Teaching methods by talking about Pedagogy. The term generally refers to strategies of instruction, or a style of instruction. It can also refer to a teaching method. I have wrote previously about some of the principles of teaching. You can read the blogs HERE , HERE and HERE. At the heart of the matter is the principle that learners will acquire new skills faster when they are engaged in their learning. The task that you set needs to be challenging in some way, otherwise they won’t be engaged. On the sports field you need to promote competition, or decision making, or both. In a classroom environment you need to promote interaction and discussion. In the gym we can be focusing on maximal speed, force or accuracy and it’s important to be clear on which one you are focusing on. The key point is that you do need to be focused and engaged. I personally have to challenge myself to not make myself integral to the learning process by wanting to control and guide it so that the task is always broken down into skills that the learner can ‘easily’ grasp. I find myself wanting to break the Olympic lifts down to the simplest skill, for example. Sometimes you need to allow the learner to discover the solution for themselves by setting them an outcome without giving the solution. Before you start teaching evaluate their performance and see how close they can get to the real thing before you break it down. Don’t give them all the answers, let them learn for themselves. I know that as long as the athlete has a front squat and a good Romanian Deadlift I can be pretty confident that they will get close to the full Hang clean without me needing to say too much, or wanting to go back to a jump shrug straight away. I actually get much more engagement when I give them a greater challenge (the full skill with a bit more weight- as long as it is safe) than if I give them a broomstick and a simple skill! So what more is there to know about teaching? Well having listened to Nick Winkleman present on this, clearly quite a lot. Please find below an extract from my previous blog on his presentation, you can read the full review of the UKSCA Conference HERE. This was a whistle-stop tour of coaching science, stopping off at Dynamic Systems Theory (environment), constraint based learning (instruction) and internal and external cuing (feedback). Dynamical systems theorists recognise that within the infinite number of motor patterns possible the brain cannot remember each individual one. To make the motor programming less complex the body ‘encourages the development of functionally preferred coordination or “attractor” states to support goal-directed actions.’ (Glazier et al., 2003). Within each attractor region (the “neighbourhood” of an attractor) system dynamics are highly ordered and stable, leading to consistent movement patterns for specific tasks. Variation between multiple attractor regions, however, permits flexible and adaptive motor system behaviour, encouraging free exploration of performance contexts by each individual. The paradoxical relationship between stability and variability explains why skilled athletes are capable of both persistence and change in motor output during sport performance. Indeed, variability in movement behaviour permits performers to explore task and environmental constraints in order to acquire stable motor solutions over time and enhance motor learning. What does that mean for coaching? 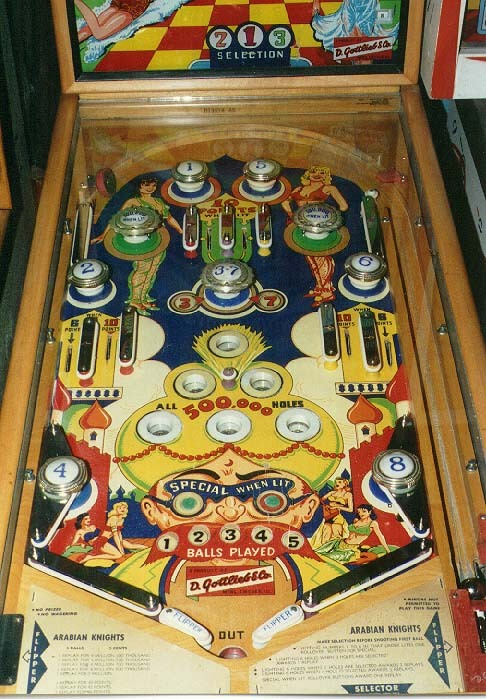 I think of a great learning experience as being like a game of pinball. You are constantly trying to work to get the ball in the hole (the attractor state) but the variation that comes from moving in and out of the hole is what creates adaptability. Set the ‘Challenge’ and the outcome you want. Then sit back and let the body self organise. This is known as Discovery Learning. We are not saying don’t coach. Clearly the athlete may search endlessly for a proper movement solution (and never get the ball in the hole). Athletes may learn poor movements and adopt bad habits. Instead, the coach or trainer can guide the athlete by providing purposeful intent, ideas about where to focus attention, and clues to key perceptual cues. If it was easy to play pinball people would get bored soon. I have wrote about this in great detail in a previous post. You can read the full blog HERE. Discovery learning is about learners solving for themselves how and what movements to make given the SITUATIONAL CONSTRAINTS imposed upon them. We will discover below that the constraints are key aspects of the task we can control to influence the performance of the task. 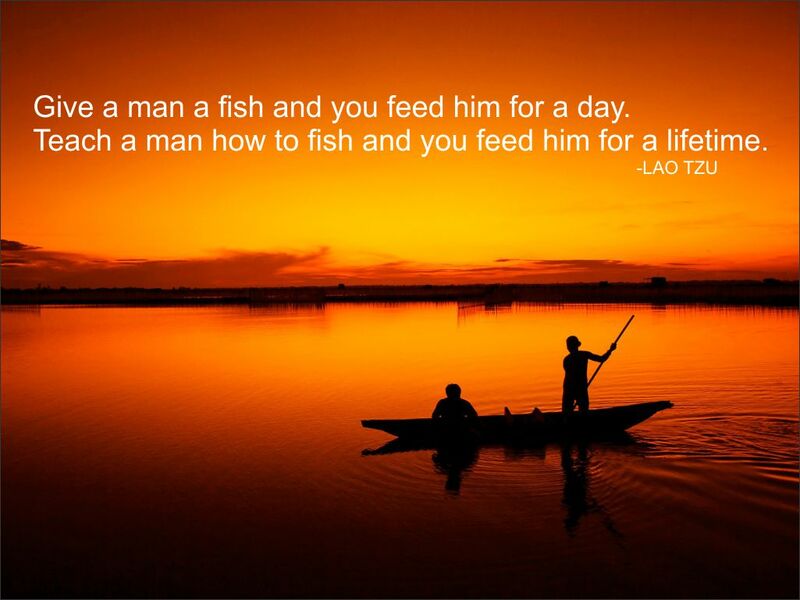 This becomes especially important when we are dealing with more advanced learners whose skilled are more developed. I always say, your job is not to make them look good! Beginners will bring their own inherent variability to the party because they are learning to coordinate their body. Advanced athletes will bring less variability and so will need to be challenged further by imposing situational constraints on the Task. These can include changes in position of the body, change in equipment used and also the need to make decisions. The best test is whether the athlete can execute the skill under the constraint of an actual sports performance (open skill environment). I hope that got you thinking about how you teach and you have enjoyed the series of blog on the topic. Glazier, et al. (2003). Sportscience 7, sportsci.org/jour/03/psg.htm. Ives, J.C., and Shelley, G.A. (2003). J. Strength Cond. Res. 17 (1), 177-1186. Wulf, G. et al., (2000). Res. Q. Exerc. Sport. Attentional focus in complex skill learning. 71, 229-239.
http://athleticperformanceacademy.co.uk/wp-content/uploads/2015/05/APA-Logo1-300x156.jpg 0 0 darren.drake http://athleticperformanceacademy.co.uk/wp-content/uploads/2015/05/APA-Logo1-300x156.jpg darren.drake2015-01-23 15:37:262015-01-23 15:37:26Are you a good teacher? I just wanted to congratulate APA coach Martin Skinner on being part of a a milestone week in the history of APA. Martin has been with APA during two separate spells since 2008 and had always set his sights on working with Professional athletes. He has worked hard to achieve this, and it gives all aspiring coaches out there the belief that if you put yourself out there and are in the right place at the right time, anything is possible. As you will know APA provide all Strength & Conditioning coaching services on behalf of Gosling Tennis Academy. This is the tenth year I have been working with Gosling Tennis Academy, and it has been very inspiring for me personally and the rest of my team to see Martin out on the ATP Tour as the Strength & Conditioning coach of Alijaz, 25, who has a career high singles ranking of 71. I started coaching as a self-employed coach at Gosling 10 hours a week with county level players. I’m now the Director of APA, managing nine staff and APA now have the privilege to have worked with a number of Professional athletes. Here is to a fantastic future. It looks like we are getting off to a great start in 2015! Early Specialisation in Sport- Too much of a good thing? First things first a very belated Happy New Year to Everyone! I hope you are all set for a fantastic 2015! I am going to resist the temptation to talk about goal setting and the statistics that show that 80% of people fail to stick to the resolutions they set for themselves (and by themselves) beyond the 31st January (Research quoted in the on-line blog mindfulyourownbusiness.com). The link is HERE if you do want to read the full article. Instead I am going to show you my favourite clip of the New Year Period. Today I would like to talk about Sport Specialisation. While January might mark a traditional time in the year to set new goals which may or may not be realistic I am surrounded by families that are putting a lot on the line to realise some pretty big goals of their own- becoming a professional athlete. In the main sport that I work in of Tennis, it’s really tough to break through the lower levels of the professional tour as there is simply a limited pot of prize money for the top men and women to compete for. The Challenger and ITF circuits (which are the second and third tiers of the game) pay out much less than the ATP tour. It’s not until you are well inside the Top 100 and can consistently get into the Main Draw of the Grand Slam ATP Tour events that you can really start to earn a living. But at the same time once you do, it’s a really good living! So coaches and parents are always looking to get ahead of the competition and give their players/children the best chance of making it. Now there are two schools of thought here. One is to specialise early in the sport you aspire to ‘make it’ as a pro in; the other is to diversify and play a range of sports until you are in your teens. To summarise the current literature I am including a great review my colleague at British Tennis sent me on the topic. A recent article in The Huffington Post, an American news aggregator, highlighted the growing trend of young athletes specialising in a single sport at increasingly younger ages. The author posited that if the goal of the parent or coach is to develop the stand-out adolescent player, then early specialisation is intuitive & can be successful. If however the goal is to maximise the child’s athletic talents, then both academic & anecdotal evidence suggests that multi-sports participation & late specialisation increases the likelihood of success. A recent study in the Journal of Sports Sciences found that young athletes who competed in 3 sports at ages 11-15 were significantly more likely to compete at an elite National level in their preferred sport than their single sport peers. In a second paper from the same journal, young males who competed in multiple sports were found to have better gross motor coordination, greater muscular strength, explosive speed & were physically fitter than those specialising early. Dr Martin Toms, Senior Lecturer in Sports Coaching & Performance Sociology from the University of Birmingham quoted recently “if your child was only offered one subject at school, you would worry about their academic development & the missed opportunity to learn new skills – so why is early specialisation in sport perceived as appropriate or acceptable?’ The long term athletic development guidelines produced & disseminated by the LTA encourages multi-sport participation until late adolescence to minimise the risk of social isolation, over-dependence, burnout & injury – while as a practitioner you may not be able to limit the total volume of tennis time your young players are exposed to, you should include (within your programme) or facilitate (external to your programme) a mixture of fundamental movement & general athletic skills and resist the temptation (and pressure) to reinforce specific sports skills at the earliest ages. For those of you who follow my Facebook page (please remember to like it!!) you may also want to check out McCaw Method. Alistair McCaw is a big fan of young athletes playing a range of sports until their early teens and supports his view with research into Olympic Sport athletes. But what about the 10’000 hours? How does this fit with 10,000 hours? (as that’s 3hrs/day from 8 to 18 years old to achieve pro status). You can’t hope to get 3 hours done a day in a sport if you’re still playing 3 sports??? Or you could look at it as 10 years to break inside Top 100 from 14 to 24 years- as most players will not break the Top 100 until this age now. Would only the two hours Tennis count towards my 10,000 Hours? My view is that any deliberate and purposeful activity that is related to the dream goal of becoming a professional sportsman or woman is counted. So all of the above in my book would count. The trick is to know how much Tennis each individual needs to be able to achieve a basic level of competence so they can compete in the sport and get a bit of success. But you have to get the balance because although we all enjoy competition, I have previously talked about the presure that can quickly be created when you over emphasise the importance of winning! At Gosling Tennis Academy, for example, APA are involved in talks with the Coaching and Sports Medicine staff to discuss (and refine) the optimum amount of Tennis that each full-time Academy player will play at any given time. This will usually range from zero to four hours of Tennis per day. What’s my position on this? Well firstly, I do buy into the concept of children having some natural ‘talent’ towards a given task. Want proof? Check out these random clips of children doing what they do best. Note: there is also a lot of aspects where children model the behaviours of adults that I think can be potentially dangerous. For example, I don’t agree with Deadlift meets done in this way. I think some times the sports performance arena that the adults ‘perform in’ needs to be modified so the children can ‘play’ in it. I would be emphasising (and rewarding) technique with young children over load lifted. But I also believe in the importance of being in an environment that fully supports the enrichment of that talent. Parents are the biggest influencers as well as coaches. I dare say all those young children in the clips above have been copying parents and coaches from a young age. A good book to read is the Gold Mine Effect. It talks about how talent hot beds thrive in completely differently culturally influenced environments. You have the Jamaican sprinter, Ethiopian endurance runners, Russian tennis players, Korean Golfers etc and each culture has a slightly different environment which inspires success after success. In a recent interview Roger Federer, winner of 17 Grand Slam Titles in Tennis (in case you have been living on another planet), talks about the role of parents. He says how important is it to get the balance between being supportive and also making them feel the pressure that it is important they always give their best. See the full article HERE. The 10’000 hour rule is an average, not the norm. Some people who are more ‘talented’ will get to expert or elite level sooner and/or will need less hours to get there. For those people truly capable of being elite they will almost certainly be able to play multiple sports up until 14 and still make it in 1 sport when they are older. The question I often ask myself is, is it because they played 2 or 3 different sports that they were then more able to succeed in 1 sport? Or is it simply that they are such supreme competitors (with exceptional athleticism and sport skills) that they could have got to the top regardless of what they did?? I personally feel that playing other sports is important for a variety of reasons. I do believe that playing other sports can accelerate certain athletic skills to a higher level that perhaps another sport cannot. For example, while Tennis is outstanding for developing multi-directional movement (agility), it won’t develop running technique anywhere near as good as going to your local track & field club. It won’t develop foot eye coordination, like football would do, or ability to work as a team like in rugby. I do believe that the wider and deeper someone’s movement vocabulary is the more easy it will be for the child to acquire the more specific advanced skills of a sport later down the track. Most importantly to me, I know that muscle pattern overload/over use is extremely likely if you keep hammering away at the same movement patterns inherent in one sport, over and over again. So even if I did believe that the key to getting great in one sport is to just play one sport (which I don’t), I would enforce that the athlete plays a few other sports, simply to work the muscles a little differently, and give the overworked ones a rest! Talent Identification- Does it work? Most businesses spend 2% of their time recruiting and 75% of their time managing their recruiting mistakes! In sport we also have situations where we recruit our ‘crop of current top talent’ and invest money in them, when there may be other kids out there with more potential that we never saw because their current performance was not as high. I could risk upsetting a lot of people here so I will simply ask you to watch a great illustrated talk by the author of the GoldMine Effect on Talent ID. I agree with his views on the difference between Current Performance and Future Potential. How to you find potential in something that looks ordinary AT THE MOMENT is the secret!! That is why I really enjoy working with my partners at Gosling Tennis Academy because they always focus on helping their players realise their own potential and try their absolute best to make it possible for everyone to try and do that by removing as many barriers as they can. 1. What you see is not always what you get!!! http://athleticperformanceacademy.co.uk/wp-content/uploads/2015/05/APA-Logo1-300x156.jpg 0 0 darren.drake http://athleticperformanceacademy.co.uk/wp-content/uploads/2015/05/APA-Logo1-300x156.jpg darren.drake2015-01-09 11:30:592017-05-25 07:32:48Early Specialisation in Sport- Too much of a good thing?